12 | February | 2015 | The Intraracial Colorism Project, Inc. The Importance of Diversity in Higher Education: Redesigning the Biased Structure. 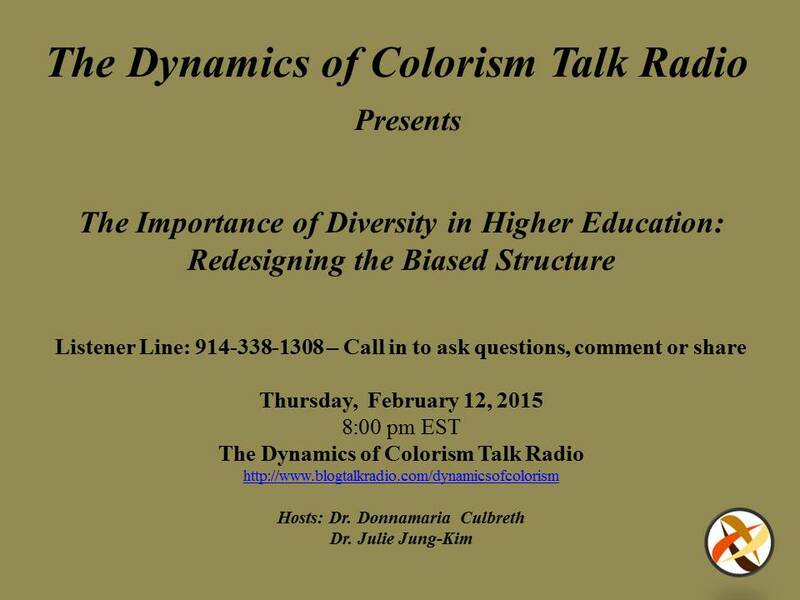 Join Dr. Culbreth and Dr. Jung-Kim for The Importance of Diversity in Higher Education: Redesigning the Biased Structure.